If you think the new year is going to be the year to put your rental days in your rear-view mirror and move into a home of your own, it’s time to start preparing. Even if you won’t be ready to buy for six more months or even a year, here are 10 straightforward steps to take right now. Crossing these items off your list will make it easier for you to find and finance the home of your dreams. Go to annualcreditreport.com and request free credit reports from all three credit reporting bureaus: TransUnion, Equifax and Experian. For a small fee, you can also get your credit score. First up, check the reports thoroughly for any errors that need correcting and any negative information. These reports should also indicate what you can do to improve your credit. A higher credit score makes it easier to qualify for the lowest interest rates, which in turn make your purchase more affordable. One trick is to save the difference between your rent and what you estimate your mortgage payment will be—or more. You’ll need cash reserves to buy a home, and you’ll need to prove to a lender that you can afford housing payments that may be higher than what you’re currently paying in rent. Unless you already know where you want to live, take the time to visit a variety of potential neighborhoods. You’ll want to scout out ‘hoods that meet your needs in terms of transportation options and other amenities. Exploring different locations will help you narrow your priorities. The sooner you visit a lender, the quicker you’ll know what you can afford and the steps you need to take to improve your credit or generate more income. Visit Down Payment Resource to learn about programs in your area that may help you find down payment money or a low-interest loan. Lenders and agents often offer free seminars that explain the home-buying process. Many local government and nonprofit agencies also offer classes that can help you prepare for the financial responsibility of owning a home. 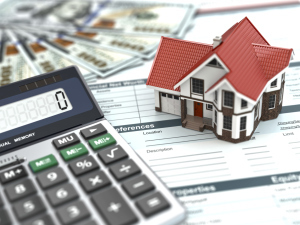 A lender can give you an idea of how much you can borrow, but you have to create a personal budget to decide how much you will be comfortable spending on your mortgage payment. Try to avoid walking through homes you simply can’t afford—you don’t want to fall in love with something and then be dissatisfied with all other options. Going to open houses early in your search will let you see what’s available in your area that might fit your budget. You can then begin to see what matters most in your decision: the location, room to entertain or outdoor space. At each open house you’ll meet a REALTOR® who represents the seller of the home. As long as you don’t plan to make an offer on that particular home, there’s nothing wrong with striking up a conversation with the REALTOR® regarding your plans for buying a home. It’s a good idea to talk with and interview multiple REALTORS® to find one you can trust to have your best interests in mind. ← Should You Become a Landlord as a First-Time Home Buyer?